We Buy/Sell Gaylord Boxes KS. 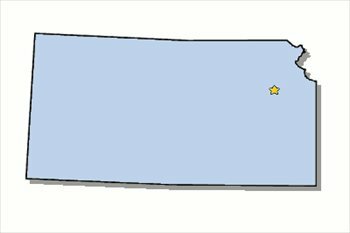 We have boxes located throughout the American South and the Midwest that can be readily shipped throughout the state of Kansas. Once the form is completed, we will source your request and contact you about the delivery. We offer a complimentary gaylord box recycling service for customers located anywhere in the continental United States. We will happily send one of our trucks to your location to pick up your boxes, and incur all costs. We will purchase lightly used gaylord boxes from anyone willing to sell them. The only condition that we hold is that the boxes have to be either grade A or B+. We will compensate you at a per-box rate, and arrange the shipping for the pick-up. We are actively seeking new customers in the state of Kansas. While we may not have any current listings within the state, we have ample amounts of boxes in the bordering states of Nebraska, Oklahoma, Missouri, and Colorado. The reason we are seeking connections within the state of Kansas is because of the shipping access it grants to both the Midwest and the Southwest. One of the most popular features that we provide all of our customers is our complimentary gaylord box recycling service. 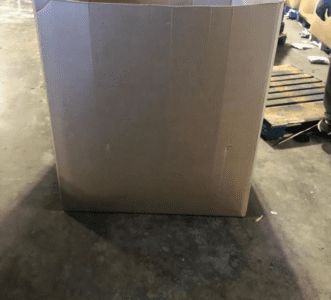 It is vitally important to us that these boxes are disposed of and repurposed correctly, so no matter where you are located we will send one of our trucks to pick up all of your unwanted inventory 100% free of charge. On the other hand, if you’re looking to sell your gaylord boxes, we will happily purchase them from you at a per-box rate. Lastly, if you’re looking to purchase lightly used gaylord boxes, simply fill out a box buyer form, and we will have your request sourced immediately. We look forward to doing business with you!